The 86 Company has done the nearly impossible: it has entered into an extremely competitive market with a suite of small brands focused exclusively on the needs of bartenders. In the process, The 86 Co. went toe-to-toe with major brands including Absolut Vodka, Beefeater Gin, Patron Tequila, and Bacardi Rum. The 86 Company did this without the massive budgets or salesforce of a big brand, and despite staggering odds, it worked. For the second year in a row, The 86 Co. made Drinks International’s list of Bartender’s Top 10 choice, a staggering achievement for such a small company. So how did a small company like The 86 Co. take on the big brands and win? They did it by deeply understanding how bartenders work, what they need, and how to best deliver that to them. Now, The 86 Co. is building on their success with their first new product outside their initial core offering (Aylesbury Duck Vodka, Cana Brava Rum, Ford’s Gin, and Tequila Cabeza). Cana Brava Reserva Aneja 7 year Rum is also the first aged spirit released from The 86 Co. As with their un-aged Cana Brava rum, it’s produced by Master Distiller Francisco “Don Pacho” J. Fernandez at Las Cabras Distillery in Herrera, Panama. 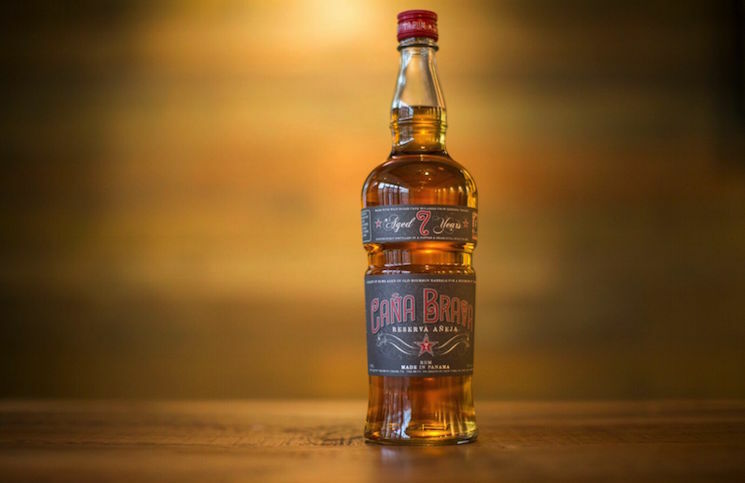 Cana Brava 7 Year Old Reserva Aneja Rum (45% ABV, $44.99) – made from Panamanian sugar cane molasses and aged in ex-bourbon barrels for 7 years, this rum is dark gold in color. The nose is very expressive and affable, a nice showcase of the molasses with sugar cane, vanilla, toasted marshmallow, and caramel. 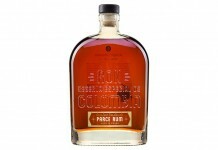 In the core of the nose is a very pleasant pineapple note, supported by the bourbon barrel notes including oak, black pepper, and clove. All these elements come together well in a nicely integrated and inviting nose. The entry for the Cana Brava Reserva is lighter than the nose would suggest. The opening is sugar cane, with a touch of pineapple. It’s a touch watery in the opening, and a little more restrained than the expressive nose would suggest. 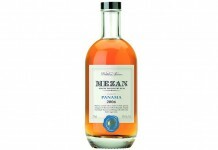 Moving towards the midpalate, this rum does open up quite a bit with vanilla, molasses, dark chocolate, oak, and cinnamon. The pineapple note from the opening is also in the mix. Towards the end of the midpalate there’s a bit of a pepper kick with cinnamon, black pepper, and oak. This drives a long, dry, and spicy finish with cinnamon, oak, bittersweet chocolate, char, and a undercurrent of sweet molasses. As a sipping rum, Cana Brava Reserva is a little too light in the opening, and dry in the finish, but these same qualities make it ideal for mixing. Cana Brava Reserva sings in an Old Fashioned where the addition of a little sugar and bitters really gives depth and texture. The spicy midpalate gives the drink fantastic structure. While we don’t often comment on packaging, Cana Brava Reserva is in the same 86 Co. bottle as their other products. This bottle is an important innovation for the company as it’s explicitly designed for bartenders: easily fitting into the well, fill marks for easy inventory, a cap that’s easy to work, and a bottle that pours extremely well. This bottle continues to be a huge asset for The 86 Co. and it is a notable attribute of their Reserva release. The 86 Co. has a clear mission: to be THE spirit of choice for bartenders. With the Cana Brava Reserva Aneja, they’ve succeeded in delivering a very cocktail-friendly aged rum that easily stands in for Bacardi 8. 86 Points.